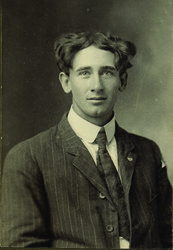 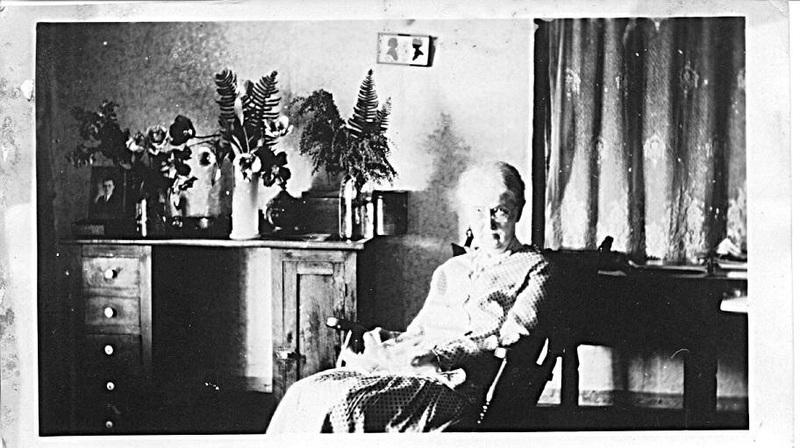 Some of the photographs below come from Kay Stomsten's albums that her sister Ruth put together from the pictures that survived from her father's photography business fire in 1920. 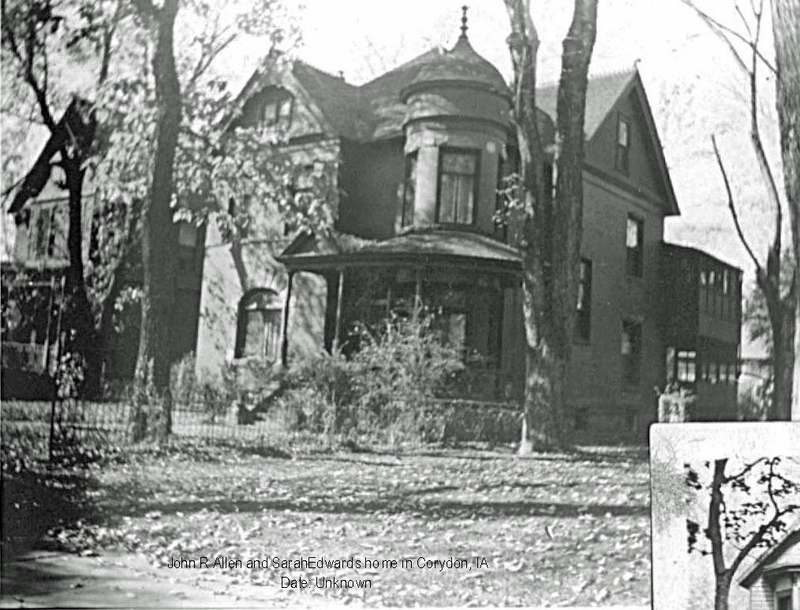 Some of photos come from pictures that Calvin Williams and his sister Marie Swangel. 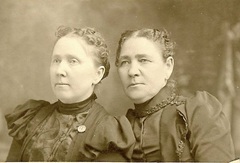 These two would be my 3rd cousins. 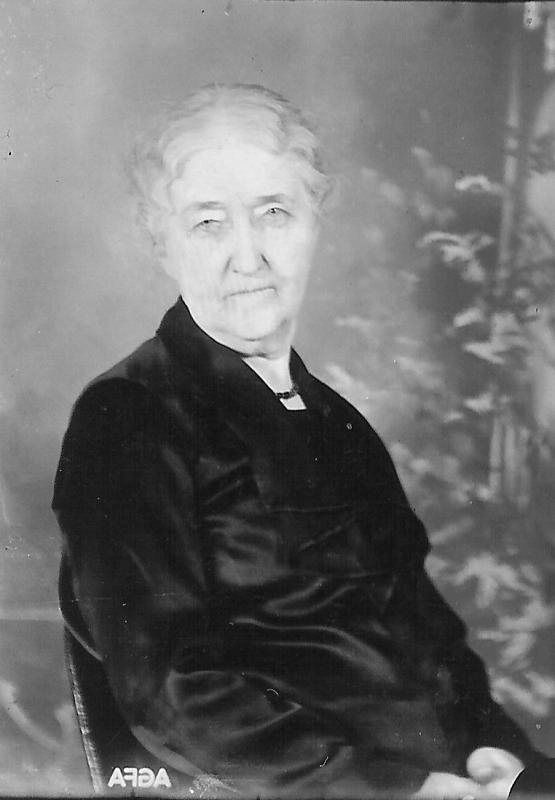 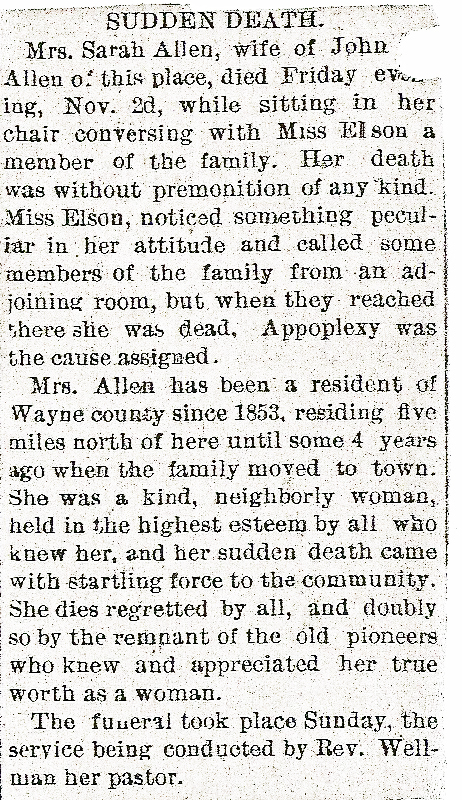 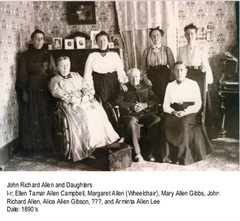 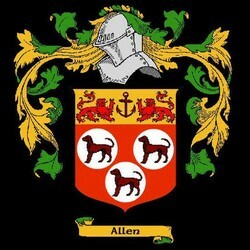 They a descendents of Alice Allen who was the daughter of John R Alllen, who was the brother of my great grandmother Mary Margaret Allen. 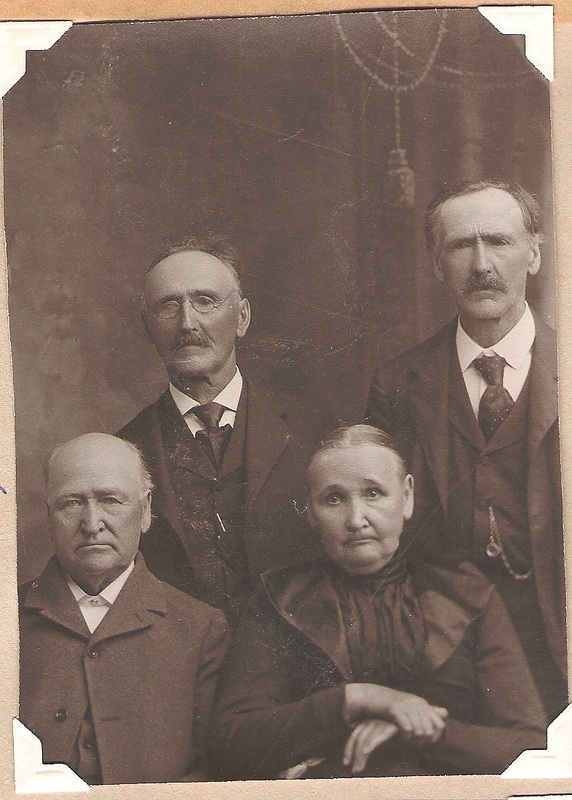 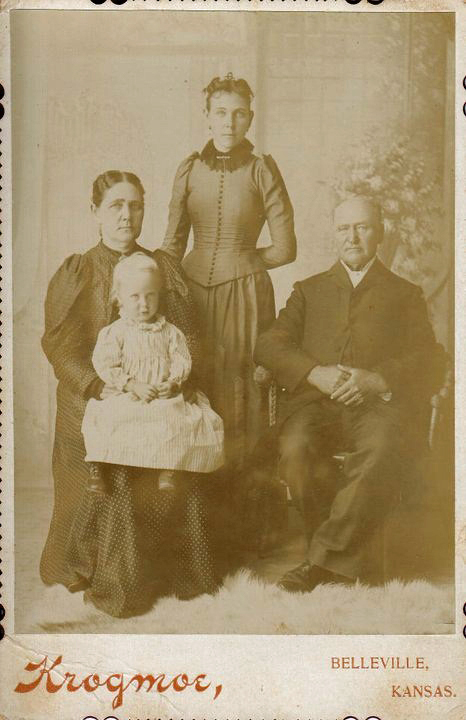 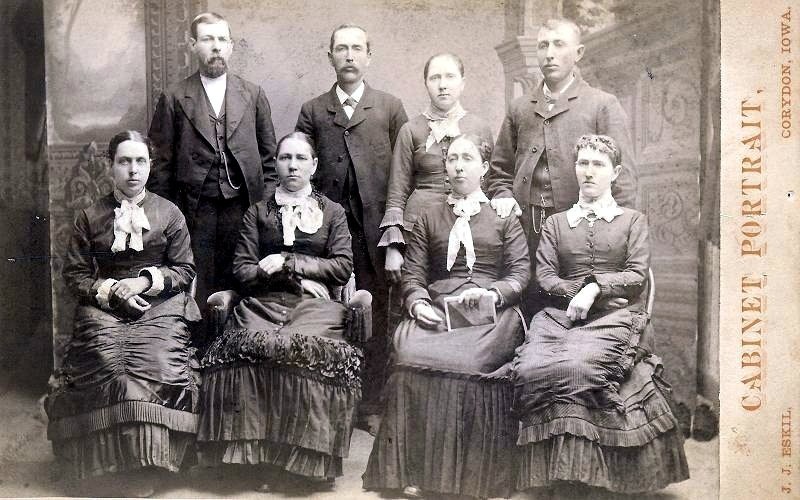 Other photos come from the family tree postings on ancestry.com. 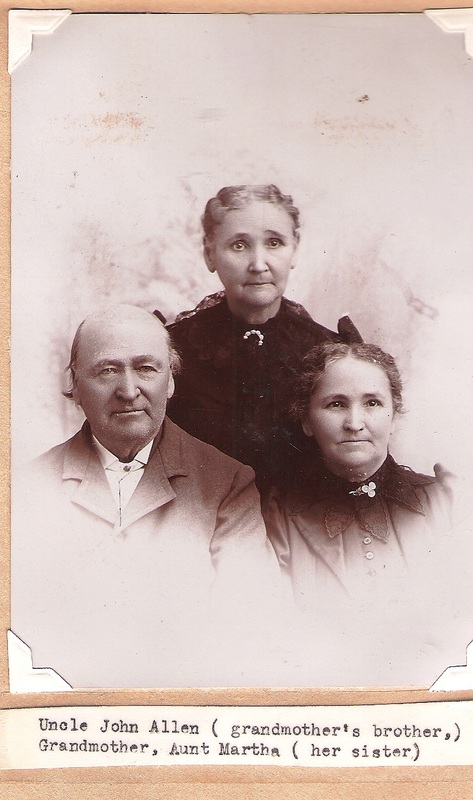 As new pictures come available they will be posted so they are not displayed in chronological order. 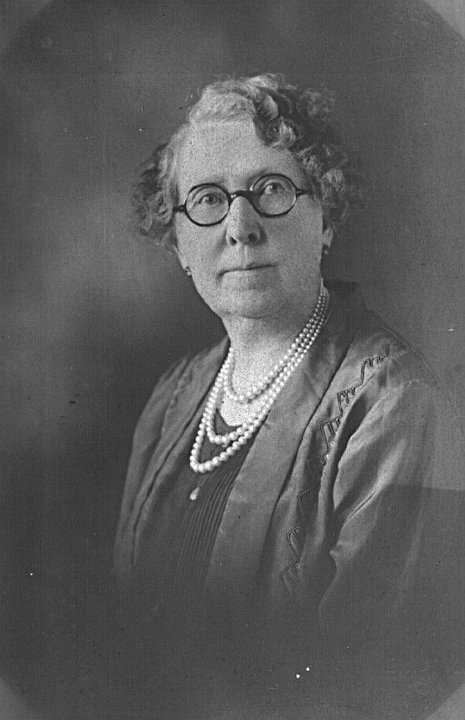 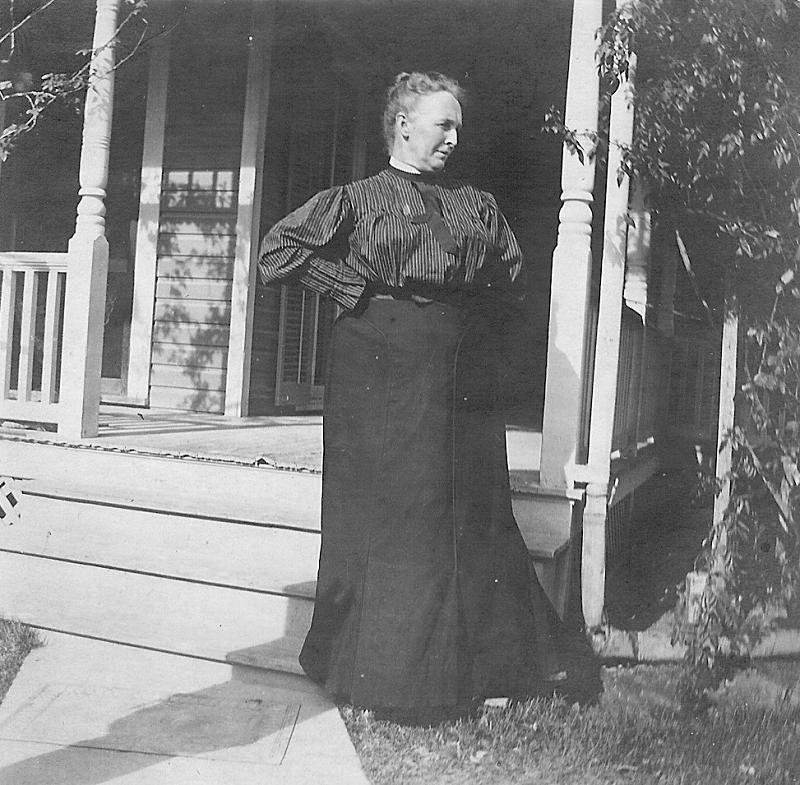 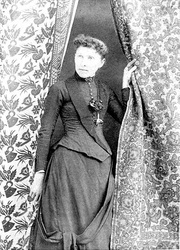 Lydia (Allen) Bobbenhouse holding her daughter Mabel. 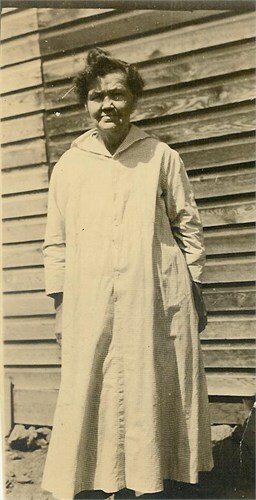 Daughter Sadie standing. 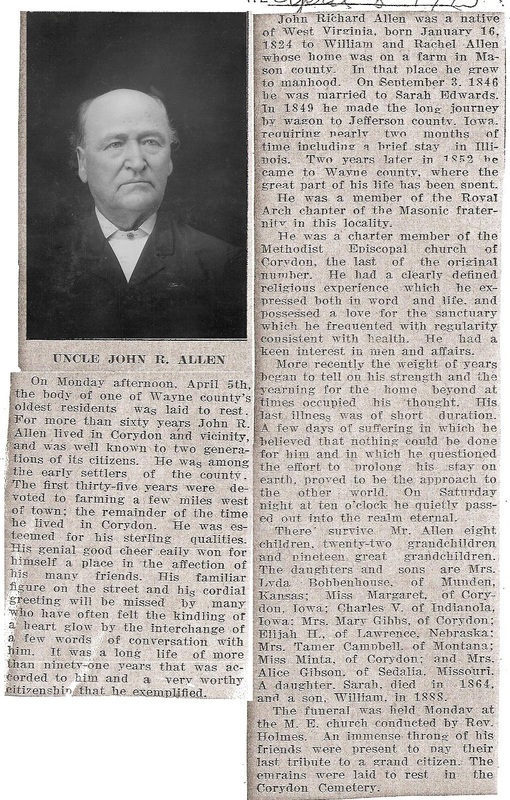 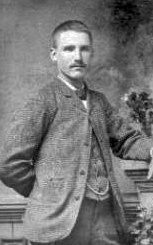 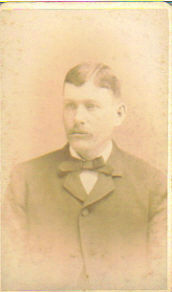 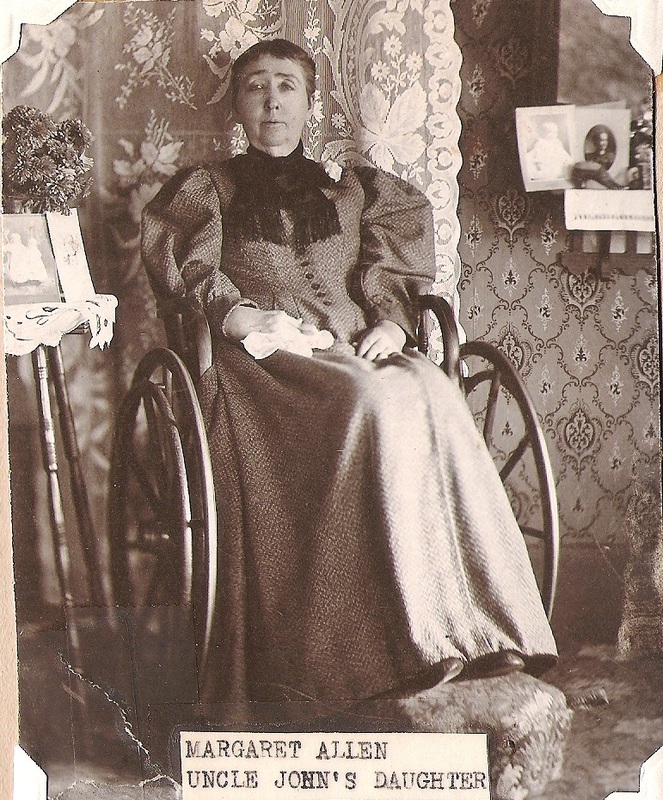 John R Allen seated. 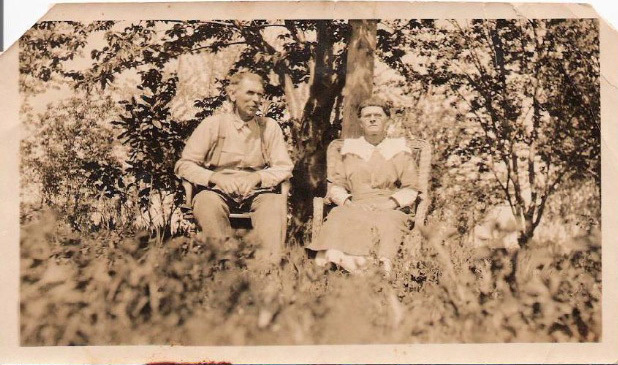 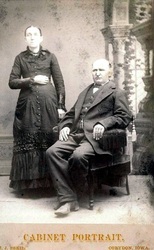 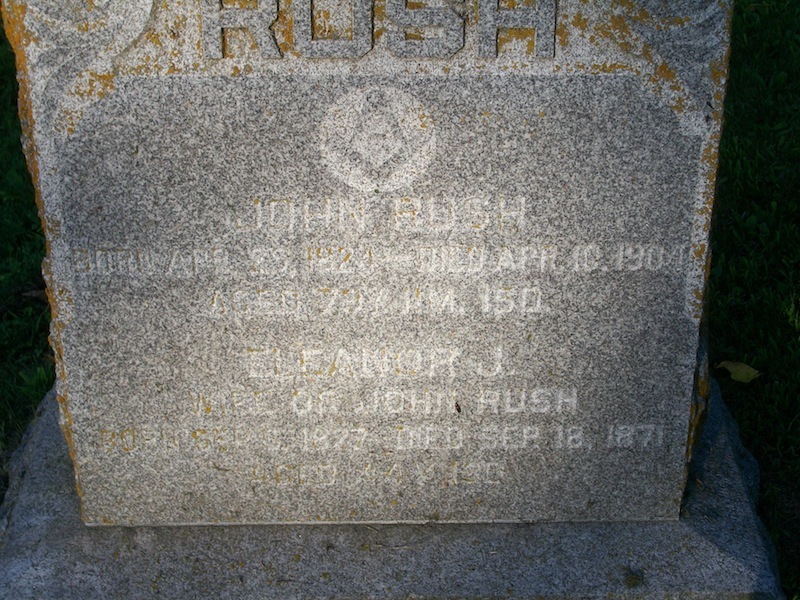 Eleanor (Allen) Rush and husband John. 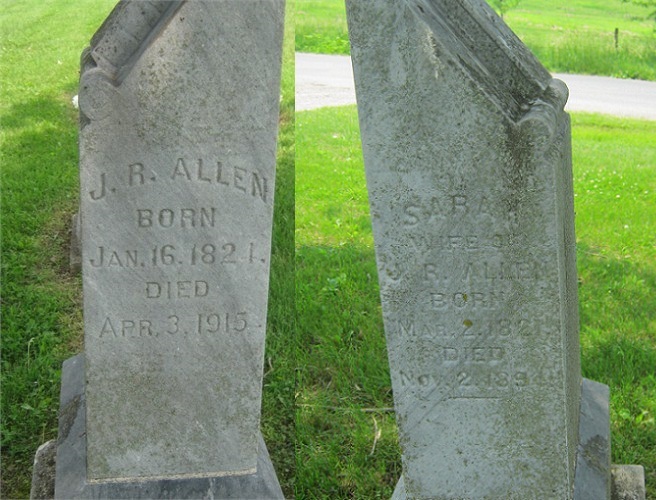 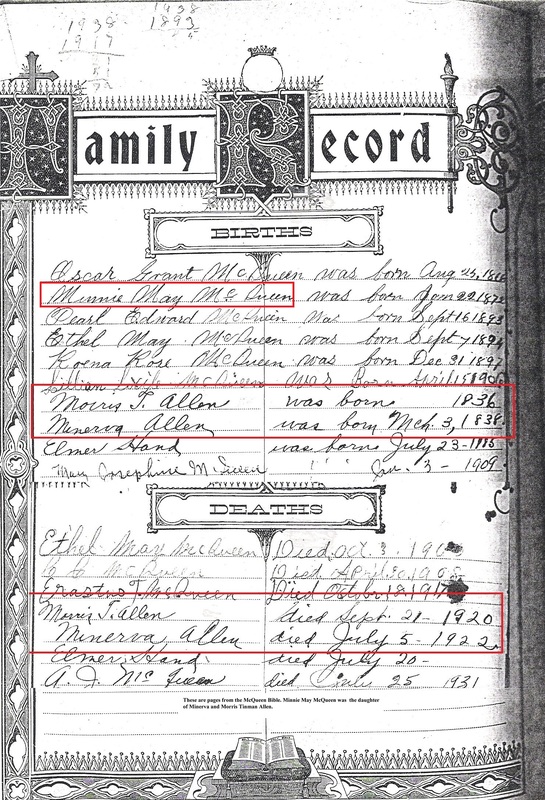 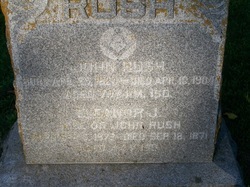 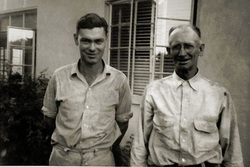 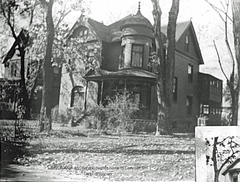 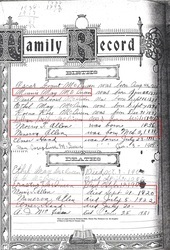 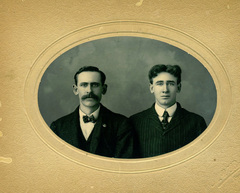 Sons of John Rush and Eleanor (Allen) Rush. 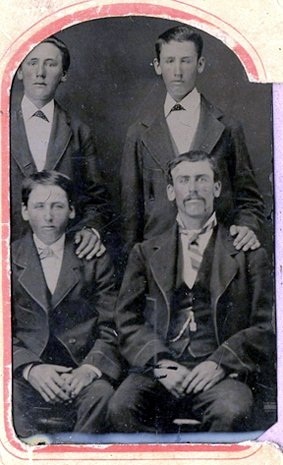 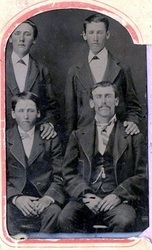 Son John is lower right with three unidentified bothers. 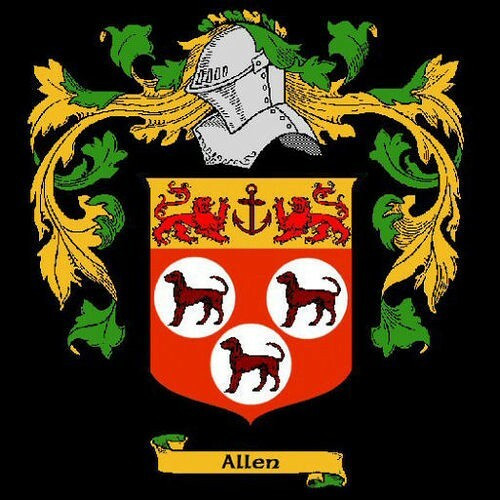 NOTE: The date of the death of Morris Tinman Allen was transcribed incorrectly into the McQueen Bible. 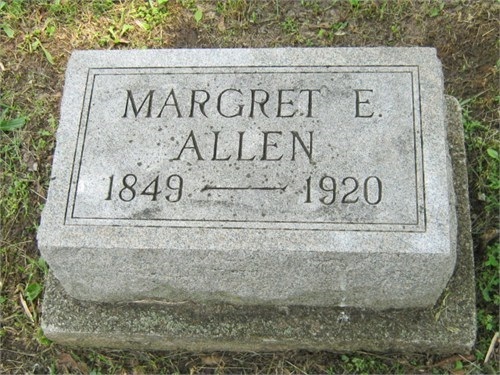 He died in 1935.